My favorite kind of weekend is a weekend full of gains. OH YES!!! Our favorite kind of weekend is without a doubt the kind that’s absolutely shock full of gains! Training hard on the weekend is something we love to do and we love all the gains that comes with it! 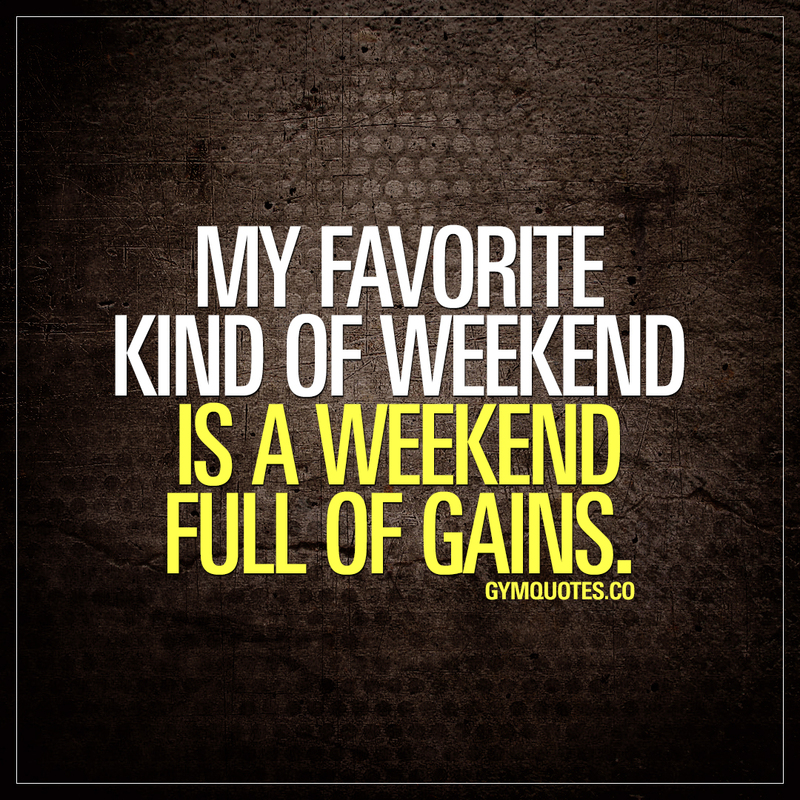 If you love a weekend full of gains, then make sure you share this quote with someone!